Do the tees come with a warranty? Do you still offer repairs? What tee is best for me? How long is my tee going to last? I have a 6 year old and a 14 year old and only want one tee, what are my options? Why is the Tanner Tee a higher cost than many of the other tees I see at Big Box retail stores? The Top of Tanner Tee is different than other tees. Is it durable enough? Are there replacement parts? What happens after my warranty? How do I install my new FlexTop? Q. What is your refund & return policy? A. We offer returns for a refund for unused, undamaged items for a period of 14 days from delivery. Associated shipping costs on returns are the customer's responsibility. If a customer wishes to exchange a tee for a different size, please Contact Us. Shipping to and from our facility on product exchanges is the customer's responsibility. Please call for assistance if you are unsure which Tanner Tee is right for you. Our staff is always available! Q. Do the tees come with a warranty? A. Tanner Tees come with a one year manufacturer warranty that covers defective parts and material. The warranty does not cover acceptable wear and tear with usage, negligence or dents caused by bat strikes (i.e. dented pipe sections). If you are unsatisfied with the product, please contact us anytime. We want to know. And, because it happens so infrequently, we have flexibility in resolving issues fast. To start a warranty claim, click here. A. We use FedEx Ground for nearly all orders. In some cases, we use the US Postal service. All orders are shipped within one business day and domestic orders receive free shipping. Please Contact Us for orders to Hawaii and Alaska. International Orders SEE DETAILS. Q. Do you offer free shipping? A. Yes, orders placed through our site or by phone receive free FedEx Ground Shipping. In some cases, we use the US Postal Service as well. Exceptions to Free Shipping are Alaska, Hawaii, all international orders, and in some cases APO shipments may incur some shipping charges depending on the location. Q. Do you offer coupons? A. Throughout the year, coupons may be offered to the Tanner Community. Subscribe in the footer of our site, and opt out any time! Q. Can I have my order expedited? A. Yes. Orders can be expedited for faster transit times, SEE SHIPPING DETAILS. Free shipping applies to standard ground shipments only. Q. Do you still offer repairs? A. While rarely needed, we do repair tees. Please go to Product Support under the Support Tab. Q. Do you offer replacement parts? A. Yes. We have the replacement FlexTop™, each of our base models and fully assembled tee stems available for purchase in Tee Parts. Q. How long is my tee going to last? For over 25 years, our company has earned and maintained a reputation for building durable batting tees for customers of all ages and skill levels (Read Reviews). While it’s difficult to quantify, we know if used properly and well maintained, Tanner Tee can perform for tens of thousands of swings, which is in most cases years on end. Rather than placing a specific number on the life span of your Tanner Tee, we have confidence in our design, a broad warranty policy and unique replacement options. All batting tees will experience wear over time. While some of our customers report they’ve owned their Tanner Tee for 8 years or more, others may have less time of ownership before needing a replacement part. The differences in longevity can be attributed to many factors, to include proper usage, storage and owner maintenance. We are committed to continue to build the most durable batting tee in the industry and offer comprehensive customer service as well. Q. I have a 6 year old and a 14 year old and only want one tee, what are my options? For this example, the 14 year old will be best served with one of our Standard/Adult adjustable 26-43 inch tees, while the 6 year old will be most comfortable hitting on a Youth/Short 20-32 inch Tanner Tee. Both can share the same base if you prefer, but from experience with our customers and family over the years, if you have two hitters who want to hit it may be worth the investment to have one tee for each. Not a must, but definitely a consideration! Q. Why is the Tanner Tee a higher cost than many of the other tees I see at Big Box retail stores? We believe there is great value in training with a Tanner Tee. Each Tanner Tee is hand-rolled right here in Sarasota, Florida by experienced tee builders (Learn More About Us). Our expertise in batting tee manufacturing ensures the quality of each Tanner Tee. We support that claim with 25 years of building Tanner Tees and detailed industry knowledge. Tanner Tees are built with high quality components, each FlexTop is a tightly wound cone, and we guarantee a professional level hitting experience every time. Q. The Top of Tanner Tee is different than other tees. Is it durable enough? Many folks are accustomed to traditional rubber batting tees from a chain sporting goods store that have the shape of home plate at the base and a molded rubber tube extending up. Joe Tanner invented a different concept. He devised the first rolled rubber top in 1990 because his players needed to hit through the mid to bottom part of the baseball without feeling the rigid rubber tee top at contact. His rolled rubber top exposed the ball (baseball or softball) in a game-like view to the hitter and rested it high atop the tee, so hitters were encouraged to make correct contact. Additionally, young hitters, after several bad repetitions on a rigid tee, can become reluctant to swing through contact because they’re anticipating the sting of the tee. This can form bad habits, making tee training unproductive. The Tanner rolled rubber FlexTop eliminates these problems. Bats fly through the contact point with no feeling from the tee. There are four inches of space where on a miss hit the bat will pass straight through; the rubber flops down and bounces upright, time and time again. For durability, this is the top that works. We’ve been doing this for 25 years and numerous baseball and softball brands have adopted the Tanner FlexTop concept in their batting tee products. Q. Are there replacement parts? What happens after my warranty? Yes, we offer the FlexTop replacement (Learn More). The FlexTop replacement installs easily onto any Tanner Tee, and it comes in three sizes to match the size of the tee you own. We cover a one year warranty on each Tanner Tee, but often our tees outlast the warranty period. Understanding that no tee (or baseball equipment) lasts forever, you may wonder what happens after one year if your tee wears down. 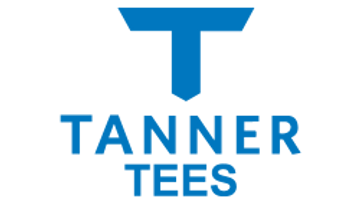 While any tee will need a replacement or a refurbish at some point, how much you spend is based on the brand you choose, and we have specific options that make economic sense for Tanner Tee owners. During your first year of ownership, we don’t anticipate issues, but things happen. We cover nearly everything except a puncture of the rubber by a cleat, a dog bite or the tee being dented from bat strikes. It’s a quick phone call or email. Just send us a proof of purchase, a few pics and the issue is resolved immediately. We confidently stand behind our tees and customer service policies. FlexTop replacement, $32 on our site. This is 99% of what customers need. Tee stem replacement, $55 on our site. We still offer refurbish services starting at $35 per tee. The refurbish service we provide is a huge advantage for heavy use customers like high school teams and facilities that are doing tee work all day, every day and own multiple Tanner Tees. Q: How do I install my new FlexTop? This video shows you step-by-step, how to replace a Tanner FlexTop. All you'll need is a Phillips screwdriver, a Tanner FlexTop replacement, a clean cloth and a double-sided adhesive strip which is included with the purchase of a new FlexTop. For over twenty years, the Tanner Tee has been the baseball and softball industry standard for batting tee tops, composed of the best combination of flexible and tough rubber. Each top is hand rolled with the signature Tanner flap.